A man armed with a fire extinguisher was arrested Friday after barricading himself inside an outdoor bathroom at a house in National City and refusing to surrender for around an hour, police said. 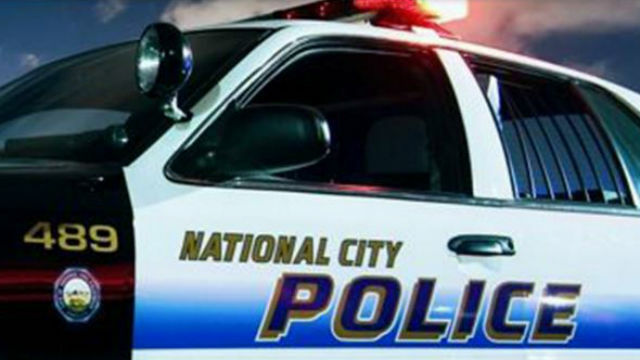 Dispatchers received reports of a man in the backyard of a house shortly after 4:15 a.m. in the 200 block of East 16th Street, according to National City Police. Officers arrived and found an unidentified man holding a fire extinguisher was barricaded inside an outdoor toilet at the residence and was screaming at officers, police said. Details on why the man entered the house were not immediately available. During the standoff, police fired several non-lethal pepper balls toward the toilet in an attempt to subdue the man, but he refused to get out, 10News reported. After about an hour, officers — assisted by a police K9 — used a battering ram to force their way into the toilet and detained the man.